In 1959 Ashridge Management College was established and supported by companies such as Guinness and Shell. Five years later, in 1964, what would become Hult International Business School was founded in Boston as The Management Education Institute. Over the next several decades both schools expanded and performed consistently well in rankings until the merger between the two was agreed in 2014 before it took place the following year. Programmes of study at the school include: their Global One-Year MBA, Global Executive MBA, Masters Degree Programmes – e.g. Masters in International Business and Masters in Business Analytics, The Undergraduate Programme – Bachelor of Business Administration, courses in Ashridge Executive Education, and the Pre-University Summer School. The student body at Hult is incredibly diverse and is made up of more than 150 nationalities who speaking over 100 languages. The school focuses on operating at a global level and works closely with its students to help get their careers off the ground both during and after their studies. In 2017, for example, students from Hult accepted positions at 825 companies in more than 60 countries. Academically, Hult places a special focus on practical work alongside its taught theoretical content. The Hult Business Challenge is an intense seven month long course where students work to solve a real-life company’s real-life problem. This option is the Corporate Track, but students may also opt for the Entrepreneurial Track where they work on their own commercial ideas. Speakers at the school’s campuses have included big names such as Bill Clinton, Steve Wozniak, and Arianna Huffington. The Hult digital library allows students to keep themselves up to date on current affairs in the real world of business, with access to sources such as The Wall Street Journal, ProQuest, PsycARTICLES, and Sage Research Methods Online. Hult International Business School also carries out research focused on two areas, namely creating disruption and transforming behaviour. Have you attended or are you currently attending Hult International Business School? If so, please tell us about it by leaving a review below! We would love to hear your story. If you’re not looking for the typical university experience then Hult is a really great place. Because it’s quite a small university, you get to know both students and professors on a much more personal level. Class participation and independent clubs are easy to get into and that makes the experience very unique. My favourite learning experience was the fact that we got to work with real companies to solve real current problems. I’ve had the pleasure of being a Hult MBA student at the Dubai Campus. The school is very true to form in stating that it is an internationally diverse school. Every other person speaks a completely different language from the last person and is from a different part of the world. The course is structured in a way that each class is layered on top of the last. This helps you to build and constantly use the things that you just learned. The only downside to the one year program is that many times the courses feel very rushed and crammed. Almost like you’re learning only to pass an exam but not really retaining anything. The busy schedule also makes it almost impossible to network and make connections. I have yet to begin rotations and complete the program but at this point in time, I would definitely recommend Hult to a friend, however maybe one of the US or London campuses before the Dubai one. Top professors with huge experience in the professional sector. Don’t like: The School name doesn’t give you an interview opportunity unlike Harvard. If you're the owner or representative of Hult International Business School, you can claim this University and build a better profile. 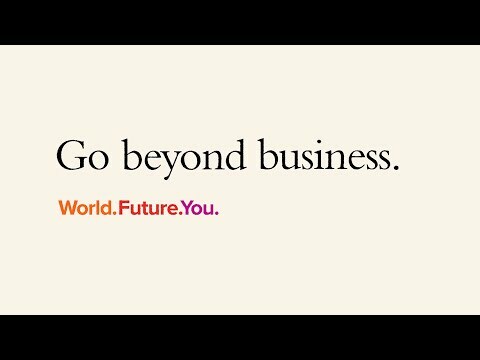 Interested in studying at Hult International Business School?